On October 1987, the financial markets collapsed. It’s a devastating month for both traders and investors. That same month, he made an incredible return of 62 percent. …combining five consecutive, triple digit return years, with low equity retracements. 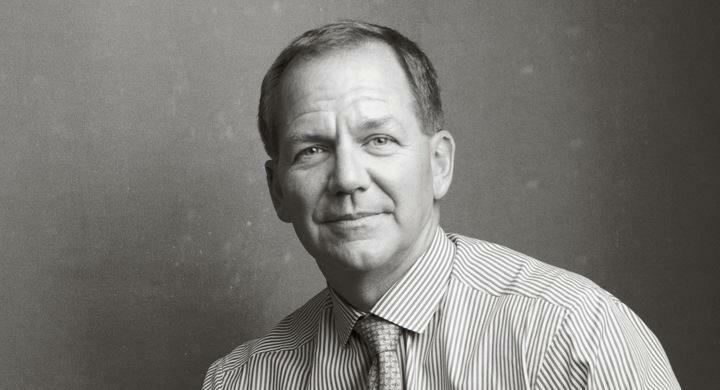 With such legendary track record, it pays to find out what are Paul Tudor Jones trading rules that brought him much success. 1. When you are trading size, you have to get out when the market lets you out, not when you want to get out. The old high was at 56.80, there are probably going to be a lot of buy stops at 56.85. If the market is trading 70 bid, 75 offered, the whole trading ring has a vested interest in buying the market, touching off those stops and liquidating into the stops. If I want to cover a position in that type of situation, I will liquidate half at 75, and the remaining half beyond that point. 2. Never play macho with the market and don’t over trade. My major problem was not the number of points I lost on the trade, but that I was trading far too many contracts relative to the equity in the accounts that I handled. 3. If I have positions going against me, I get out; if they are going for me, I keep them. 4. I will keep cutting my position size down as I have losing trades. When I am trading poorly, I keep reducing my position size. That way, I will be trading my smallest position when my trading is worst. 5. Don’t ever average losers. 6. Decrease your trading volume when you are trading poorly; increase your volume when you are trading well. 7. Never trade in situations you don’t have control. I don’t risk significant amounts of money in front of key reports since that is gambling, not trading. 8. If you have a losing position that is making you uncomfortable, get out. Because you can always get back in. 9. Don’t be too concerned about where you got into a position. The only relevant question is whether you are bullish or bearish on the position that day. 10. The most important rule of trading is to play great defense, not offense. Every day I assume every position I have is wrong. I know where my stop risk points are going to be. I do that so I can define my maximum possible drawdown. if my positions are going against me, then I have a game plan for getting out. 11. Don’t be a hero. Don’t have an ego. Always question yourself and your ability. Don’t ever feel that you are very good. The second you do, you are dead. 12. I consider myself a premier market opportunist. I develop an idea on the market and pursue it from a very low-risk standpoint until I have repeatedly been proven wrong, or until I change my viewpoints. 13. I believe the very best money is to be made at market turns. Everyone says you get killed trying to pick tops and bottoms and you make all the money by catching the trends in the middle. Well, for twelve years, I have often been missing the meat in the middle, but I have caught a lot of bottoms and tops. 14. Everything gets destroyed a hundred times faster than it is built up. It takes one day to tear down something that might have taken ten years to build. 15. Markets move sharply when they move. If there is a sudden range expansion in a market that has been trading narrowly, human nature is to try to fade that price move. When you get a range expansion, the market is sending you a very loud, clear signal that the market is getting ready to move in the direction of that expansion. 16. When I trade, I don’t just use a price stop, I also use a time stop. If I think a market should break, and it doesn’t, I will often get out even if I’m not losing any money. 17. Don’t focus on making money; focus on protecting what you have. 18. You always want to be with whatever the predominant trend is. 19. My metric for everything I look at is the 200-day moving average of closing prices. I’ve seen too many things go to zero, stocks and commodities. The whole trick in investing is: “How do I keep from losing everything?” If you use the 200-day moving average rule, then you get out. You play defense, and you get out. 20. At the end of the day, your job is to buy what goes up and to sell what goes down so really who gives a damn about PE’s? 21. I look for opportunities with tremendously skewed reward-risk opportunities. You should always be able to find something where you can skew the reward-risk relationship so greatly in your favor, that you can take a variety of small investments with great reward-risk opportunities, that gives you minimum drawdown pain, and maximum upside opportunities. Click on the link below to access the Top 100 Trading Rules of all time. Click here to get my Top 100 Trading Rules of all time (Includes the biggest names in trading like Jesse Livermore, Paul Tudor Jones and Ed Seykota). I believe the comment regarding the 200-day moving average is not to do with following a trend, but to sell a share if it drops below the 200-day moving average. It is a defensive move as many shares that drop below the 200-day moving average are in a lot of trouble and the share price ends up reflecting this. Thanks for sharing, yes what you’ve just said would make sense. Looking forward to hearing much more from you. thank you so much for the article and movie! As for 200 EMA I use the next rule sometimes (for trend follower it should be vital rule): if the price is above 200 EMA we try to look to go long only, if below – short only. By the way, do you check 200 EMA sometimes (last time you have done it in your video)? You’re most welcome, hope you enjoyed it! 200 period moving average is a useful rule. I use it as a confluence for swing trading. Is there any hint from the trading volume at any time in live market in a particular stock,to ascertain the trend? I don’t use volume in my trading.